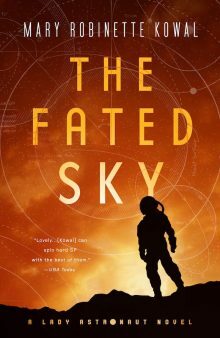 Mary Robinette will be attending the Science Fiction and Fantasy Writers of America Nebula Conference from May 16-19, in Los Angeles, California. You can register for the conference here. The Science Fiction and Fantasy Writers of America’s 54th Annual Nebula Conference will be held in Los Angeles, CA in 2019. SFWA members and other individuals who are interested in the field of science fiction and fantasy are welcome to attend SFWA’s Nebula Conference. Attendees may participate in workshops, programming and special events throughout the weekend. You do not need to be a member of SFWA to attend. We encourage anyone with a connection to the field to join us. Focusing on three tracks relevant to professionals in the genre, attendees will be able to choose from career management, professional development, and expert knowledge panels and workshops. We are very early in the programming process but if you’d like to know what past conferences were like, you may access the 2018 schedule.